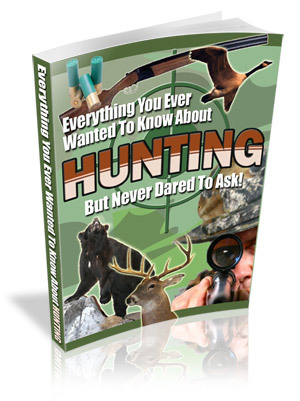 Everything You Ever Wanted to Know about Hunting Will Help You Learn the Basics of Hunting, and Let You Bag the Animals that You Thought Were Impossible. How many times have you promised yourself that you’d learn more about your favorite pastime – hunting? How many times have you looked out your window and wondered if this year was the year that you would finally be able to bring home something to show your friends or your family? Have you and your family ever wanted to sample some of the animals that are provided in nature? If you’re ready to head out into the wilderness this weekend, Everything You Ever Wanted to Know about Hunting is the guide-book that you’ve been searching for. No matter what you want to learn, I am going to give you the ‘tools’ to get started and the answers that you haven’t found. The truth is that many hunting books are written for those that already have the basics down pat – but for those that aren’t quite as well seasoned, you need more details. 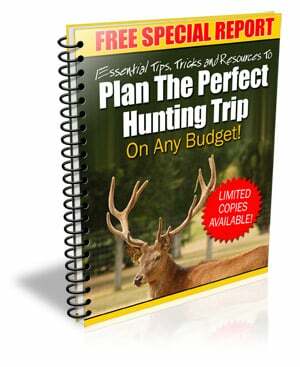 But since I just couldn’t fit that information into my 80 page eBook, Everything Hunting, I’m going to let you in on a special offer. Choosing the game to hunt, Choosing the right weapons, Essential hunting supplies, Preparing for any hunt, Hunting well, Harvesting your hunt, Rewards of the hunt. I had so many ideas about how to improve your hunting, I just couldn’t fit them in Everything You Ever Wanted to Know about Hunting. $17 Value – Yours Free! When you order Everything Hunting, you’re getting a resource that will help you move from one species to the next as you improve your hunting skills. Animals we love to hunt, Being prepared for your hunt, Finding the best action, Getting great results. What’s great about this book is that you’re not going to have to go to the local bookstore or wait for an internet order to arrive at your home. You will be able to start reading and making your plans in just minutes.